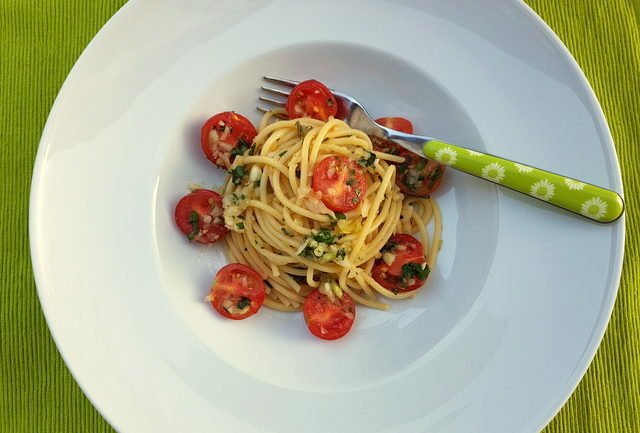 This fresh tomato vermicelli di Positano recipe is great for summer. You only have to cook the pasta and marinate the vegetables and herbs. Perfect for vegetarians and vegans, easy, nutritious and delicious! Have you ever been to Positano? For many Italians and tourists, Positano and the Amalfi coast represent not only the real essence of Italy but Italian cooking at its finest. The cuisine in this part of Italy is full of delicious seafood, wonderful vegetables and fruit ripened in the Mediterranean sun, as well as meat and cheese from the Lattari mountains. However, for me, it’s the marriage of all this produce with pasta that makes the food in this part of Italy so scrumptious! Positano is only an hour’s drive from Gragnano, a city that has been producing what many believe to be the best dried pasta in Italy (and the world) since 16th century. Needless to say that both the quality and taste of pasta in this area is most probably the best you will find anywhere. For this recipe I used vermicelli made by Garofalo, a company that has been producing pasta in Gragnano since 1789! However, there are many other excellent pasta makers in this area. If you can’t find vermicelli from Gragnano, you can, of course, use other makes of vermicelli or even very thin spaghetti. 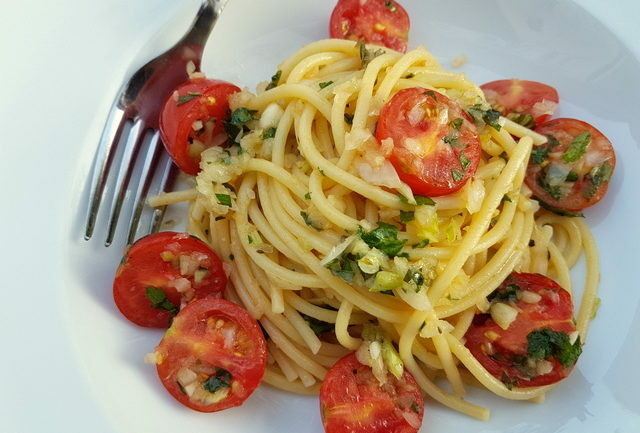 Pasta recipes from Positano and Amalfi! The list of pasta dishes from this part of Italy is pretty long, especially when it comes to seafood pasta dishes. However, some of these are not so easy to make at home and in many places fresh seafood is either very expensive or hard to come by. 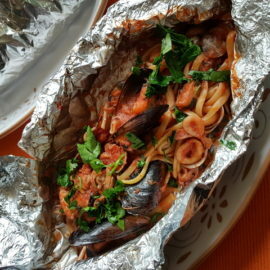 Having said that, there are many recipes from this part of Italy which CAN be made at home and will definitely appeal to seafood lovers, non-seafood lovers and vegetarians. 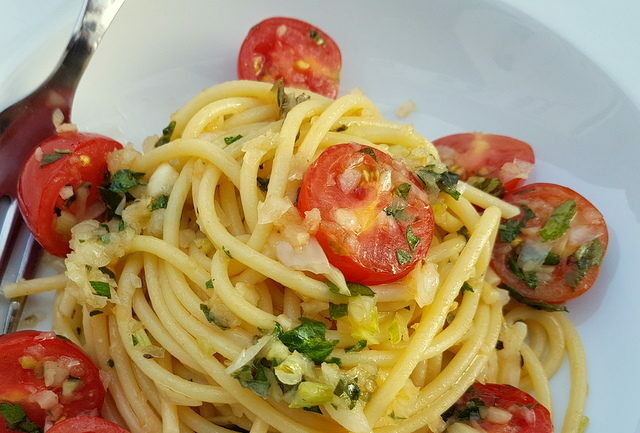 Included in this list and already posted on the Pasta Project so far are ‘spaghetti alla Nerano‘ (with fried zucchini), ‘spaghetti al limone with ricotta‘, ‘creamy linguine al limone‘ and ‘spaghetti alla puttanesca‘ which needs no introduction to most pasta lovers! 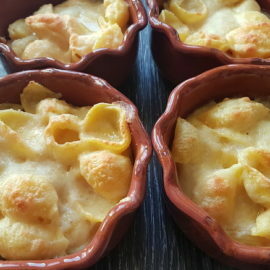 There are a number of recipes for pasta di Positano or alla Positano and, as I discovered, they’re not always the same! I decided on this vermicelli recipe because it’s so perfect for summer and here in Italy it’s pretty hot at the moment. The forecast for Verona tomorrow is 34 degrees Celsius, so heavy pasta dishes will have to wait for cooler weather! Not only is this vermicelli di Positano recipe light, but it’s also a super easy no-cook recipe, meaning you only have to cook the pasta. The rest of the ingredients are marinated in extra virgin olive oil for an hour or two. Once you have cooked your pasta you just have to mix it with the vegetables and herbs and serve! Give it a try. I’m sure you’ll agree it’s a super dish to add to your pasta repertoire. If you make this vermicelli di Positano recipe I’d love to hear how it turns out and if you liked it. 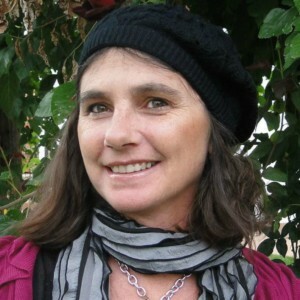 Please leave a comment here on the blog or on The Pasta Project Facebook page. Looking forward to hearing from you! 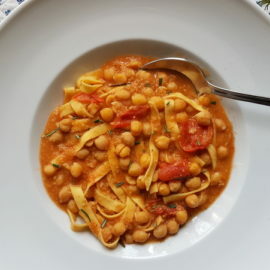 This delicious light pasta dish from Positano is a super easy no-cook recipe, meaning you only have to cook the pasta. 4-5 tablespoons extra virgin olive oil. Chop the onion, celery, basil, parsley and one garlic clove very finely (I put them in a hand-held food processor) Cut the tomatoes in halves or quarters. Rub the other garlic clove onto the sides of a large bowl that can also accommodate the pasta when it’s cooked. 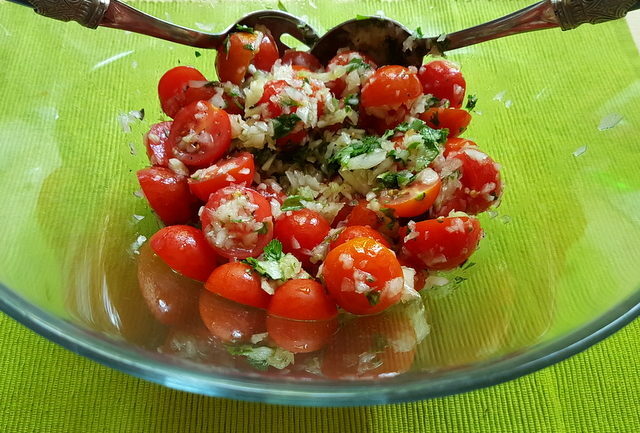 Put the tomatoes, chopped vegetables, oregano and olive oil into the bowl, saving a little parsley for serving. Add salt and pepper to taste and mix everything together well. 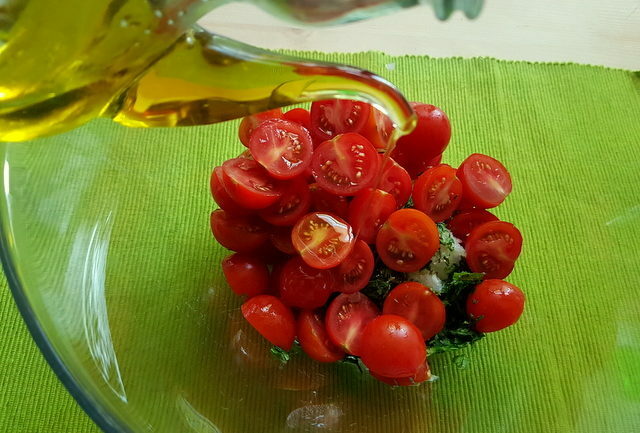 As soon as the pasta is cooked, strain it and add it to the bowl with the tomato mixture and a little more olive oil if it seems dry. Mix everything together well. 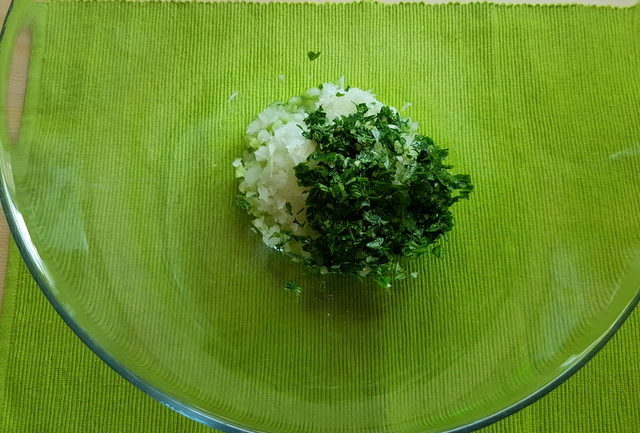 Serve immediately sprinkled with a little more chopped parsley. 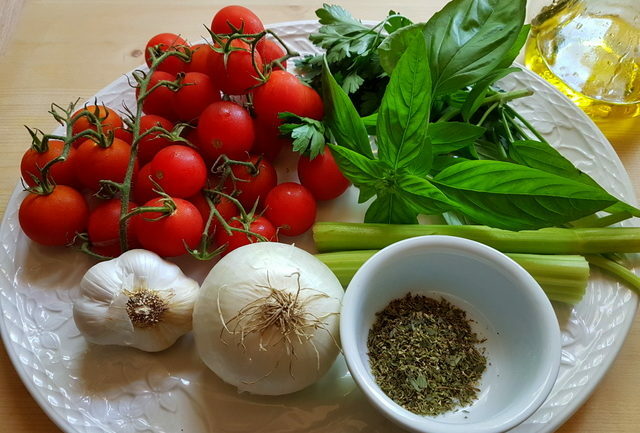 The cooking times do not include the time needed to marinate the tomatoes or boil the water for the pasta. beautiful, delicious dish. i did roast a sliced yellow bell pepper for 20 minutes and added it to the marianade for an extra dimension. also i’m certain that i violated the Italian palate but after plating the dish, i sprinkled some lemon juice liberally over the serving. thank you for another wonderful pasta DISH. Very happy you enjoyed this dish so much Henry! Adding a roasted yellow pepper sounds like a delicious idea, even the lemon juice sounds good too! Wow, so simple, fresh and beautiful. First time on your site…a whole site dedicated to pasta? I’m so into this. haha, I’ll be back!! Could it be made with dried herbs??? Fresh, simple and flavorful! So very Positano! One of my favorite places to visit along the Amalfi Coast. The seafood dishes there are spectacular too. Vermicelli is a great choice of pasta. Very versatile. All the best fresh summer flavors in one pasta dish! This looks simple and amazing! I am drooling over these pictures. It is such a simple dish, but still amazing from all of the fresh flavors combinations. YUM! This looks delish, I love a good pasta dish, especially one with minimal cooking required! My hubby’s family is from Italy (the Puglia and Molise regions) so I am always looking for ethnic dishes to make for us to enjoy!! My neighborhood is called Positano although I’ve never been to a real Positano. But this pasta recipe makes me want to book a trip there! Until then, I will enjoy a big batch of this. I love how fresh and seasonal the ingredients in this are. It’s like a garden in a bowl! 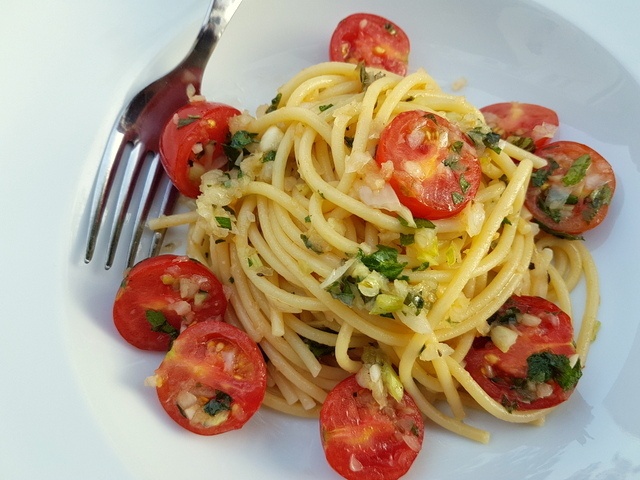 This looks like such a perfect summer pasta dish! Light and fresh! I have a ton of rip cherry tomatoes, at the moment! I’m making this tonight! This would be perfect on a hot summer day here in Texas as well. Love that its light and full of fresh ingredients. Thanks for sharing. OMG this is pasta perfection right here. I am not a huge meat sauce person when it comes to pasta dishes. This is right up my alley. Easy, delicious…pour me a glass of wine and this is dinner in a nutshell!! Oh my gosh this looks so yummy! All the fresh vegetables together in a perfect harmony. Adding pasta and it’s impossible to resist. Sounds like a delicious recipe! A must try, thanks for sharing! Yes please add me to your mailing list.